Well the day is upon us. 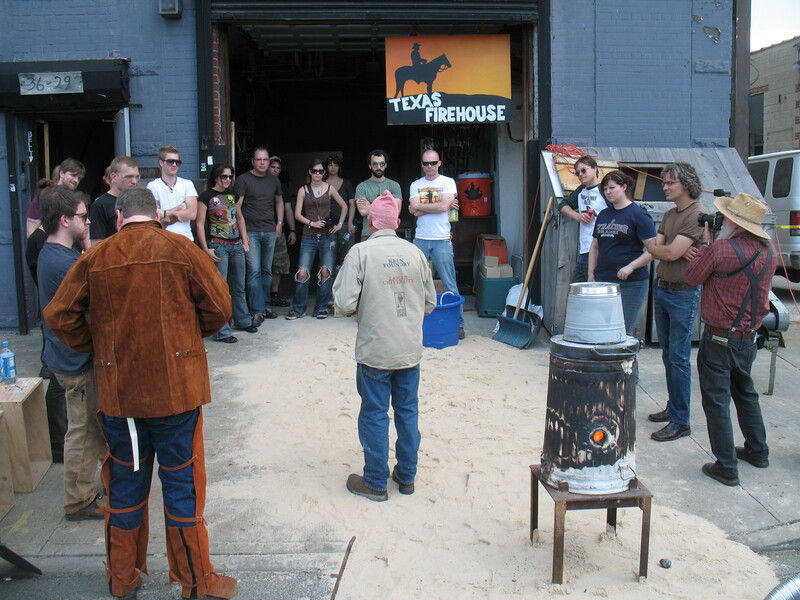 It’s time for the Texas Firehouse Third Annual Iron Pour! 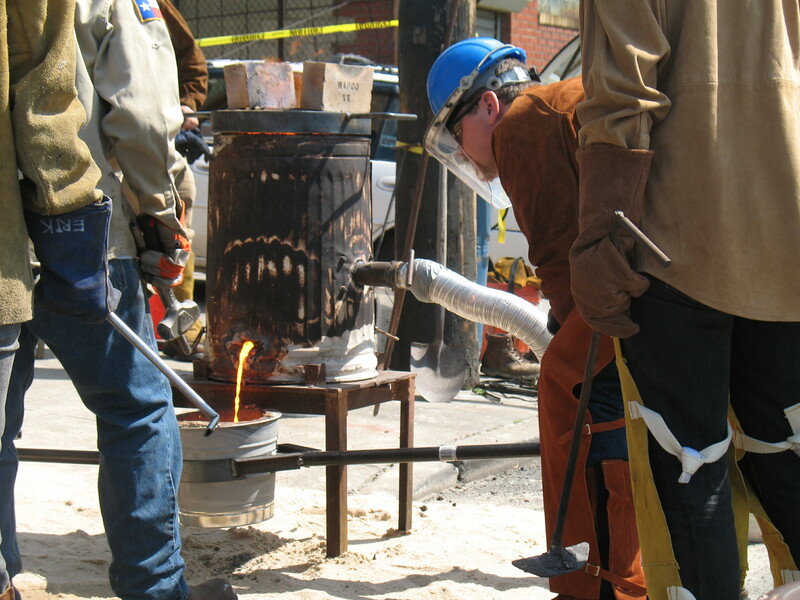 This Saturday, May 15th, we’ll be melting down a couple of old radiators for a molten iron pour. Several local artists have been busy these past weeks putting together styrofoam sculptures and packing them into sand molds, and we’re ready to start pouring. While all the spots for getting work cast have been filled (word play? ), this amazingly visual event is still free and open to the public for observation. However, be advised that this process involves lots of heavy and cumbersome molds, liquid metal at temperatures of 2600 degrees and up, and a bunch of dudes and dudettes in leather armor running around getting work done. We have a very experienced and capable pour team, but safety precautions will be enforced at all times. As such, there will be no alcohol provided at this event. If you need libations, it’s BYOB, but please please please do not get schwasted and stick a face/limb/baby/friend in the pretty orange liquid. We know all of you are responsible adults, but once the iron is hot and ready, we will start moving around and barking orders like a bunch of badasses, regardless of emotional needs; it’s nothing personal, it’s just safety. We’ll be getting up early on Saturday to start the burn-in, which means we’ll hook up a propane tank to a burner and turn it on our cupola ’til it gets super hot. This step takes a bit of time as it depends on outside temperature, wind, humidity and various nature stuff. But once the cupola reaches optimum temperatures, we can load our charges, liquefy the metal, and start pouring the molds. Thanks to Michael Dominick’s fancy cupola (lovingly referred to as Shazaam! ), we should be able to start our pour at 3pm. If we’ve piqued your interest, we hope to see y’all out this Saturday. And, if you’re so inclined, we’ve made up a bunch of open face molds that you can scratch a design into for pouring, all for the low low cost of 10 bucks a mold. It’s damn fun. AND, on another note, the Season Opener was absolutely amazing. Thanks so much to all the artists and guests for making it so great. Keep checking back here, as I’ll be posting pictures from that evening real soon.